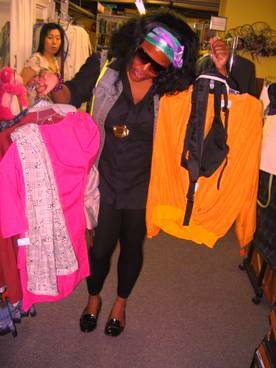 Vintage Shopping Tips For The Fashionista! Vintage Shop’s have what you need to upgrade your style! I love Vintage Shopping because I get unique pieces and save money! The entire process can be a long drawn out experience but I’ve learned that vintage shopping can be fun and very rewarding! Check out my tips for getting the most out of your trip! 1) Do Your Research: Location is Key! You would be surprised how much Google can help in finding the best Vintage Shops! Location is everything when shopping vintage- try to ocate the nearest vintage, resale, thrift or consignment stores in those surrounding zip codes. Inspect your garments before you buy as if your life depended on it. We can all get caught up in finding an amazing piece and thinking it’s a steal and then getting home just to realize the piece is damaged. Check the lining of the garment/ hemlines, look for stains orr missing stones or buttons. Lets face it as cute as that dress or blouse is you don’t know where it’s been! Garments that are purchased from Vintage Shops should be left in Plastic bags for 48 hours. The reason, critters (ewww) living on your garment it will die after being in plastic for 2 days, better safe then sorry guys! After the 48 hours is up wash your clothes and dry at the highest temperature and viola your all set! Whether it was $999 or $0.99 it is yours! wear your garments with confidence, never think that because it was a bargain that it will not look good! wear everything with confidence and look Fabulous! The World is Yours!